Scanning electron microscopy (SEM) combined with image analysis can provide a quantitative description of the area distribution of a porous structure, such as a paper coating. This is one of the few techniques where one can limit the measurement area strictly to the coating layer, fully excluding the base paper. It has been found that SEM cross-sectional porosity, defined as visible relative void area, and mercury porosimetry results agreed qualitatively to some degree but differed quantitatively. From an understanding of the differences in observations provided by the two methods, it is realised that comparison of void area distribution and intruded pore volume distribution, the latter including effects of entrance geometry to pores (mercury porosimetry and pore shielding), effectively describes the 2D to 3D transformation between the cross section and the pore network structure, i.e. a description of connectivity, in the unique case where the topology of the pore structure skeleton remains similar. Such structures are termed homeomorphisms. 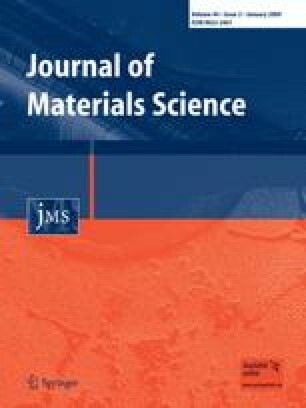 By studying the pore structural parameters of pigmented tablet structures, consisting of natural ground calcium carbonate with progressively increasing dose of latex binder, it is shown that the pore structural parameter of connectivity, and, hence, effective tortuosity/permeability, derived independently using the pore network model, Pore-Cor, can be deduced by forming the differences and correlations (convolution) between the two pore size distribution methods. The authors wish to thank Tiina Pöhler and Eevakaisa Vesanen, KCL, for their skilful sample preparation, SEM measurement and image processing used in this work. Complete data for the structures studied (ngcc + latex). Homeomorphism or topological isomorphism: possessing similarity of form. From a topological viewpoint two structures are homeomorphic or topologically isomorphic if they are topologically the same. A homeomorphism is, therefore, a continuous stretching and bending of an object into a new shape but retaining the same number of nodes/contact points.